NEW YORK (GaeaTimes.com) — Experts have claimed that women with large waistline are more prone to be attacked by cancer than women who flaunts slim figure. Popular belief suggests that men suffer most from middle-age spread but government figure shows that 44% of women in England having bulging waistline are at risk of cancer compared to 32% men. According to experts a healthy waist measurement for women is less than 31.5 inches (80cm), while white and black men should keep to less than 37in (94cm). Asian men should keep their waist measurement below 35in (90cm). Bigger waistline is strongly linked to cancers of the bowel, pancreas, breast and womb lining. Bigger waistlines also increase the risk of developing type 2 diabetes and heart disease. 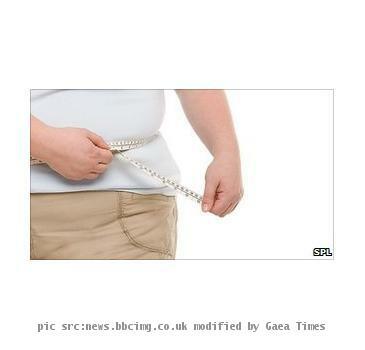 A World Cancer Research Fund advised to become slim for both male and female.